A poll of 1,250 U.S. consumers conducted by research firm Vital Findings on behalf of Cox Automotive found that self-driving vehicles are now viewed as “less safe” compared to a similar survey conducted two years ago, with 49 percent of those polled saying they would “never buy” a fully-autonomous Level 5 vehicle, up from 30 percent in 2016. Results from the survey, released Aug. 16, also found that 84 percent of those polled want to have the “option” to drive themselves, even in a self-driving vehicle, compared to 16 percent who would feel comfortable letting a fully-autonomous vehicle do the driving without an option to take control. 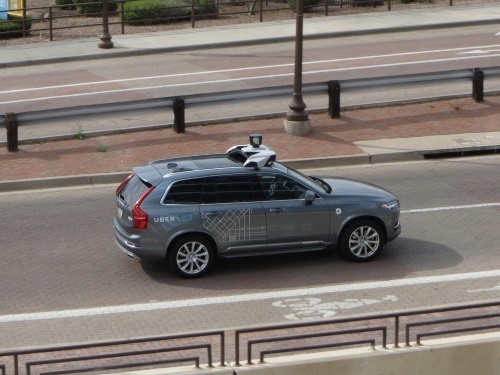 The number of respondents that believe roadways would be safer if all vehicles were fully autonomous versus operated by people has also decreased, Cox Automotive noted, dipping 18 percentage points in just two years. While recent high-profile crashes involving fully-autonomous vehicles may have, in the words of Cox Automotive, “cast a shadow” on the appeal of driverless technology, those crashes might only be slightly to blame for a change in consumer sentiment. That’s because the group’s survey found 54 percent of those polled are “unaware” of autonomous vehicle incidents, while another three-fourths feel fully-autonomous vehicles need more “real-world testing” to be perfected, thought 54 percent prefer this testing take place in a different town or city from where they live. Still, the Cox Automotive survey found that consumers want, and expect, semi-autonomous features on their vehicle – particularly those centered on safety technology such as collision warning alert and collision avoidance systems; both of which are considered “must-have” features on the next vehicle those consumers in the survey expect to purchase or lease. In fact, 54 percent of respondents agreed that semi-autonomous features “make people better drivers,” noted Joe George, president of the mobility solutions group within Cox Automotive, in a statement. He added that is signaling a “disconnect” between consumer perception of safety technology and the similar capabilities built into fully-autonomous vehicles.